We recently updated our price estimate for Nvidia (NASDAQ:NVDA) to $152. However, the figure still remains meaningfully below the market price, which is touching almost $200. Nvidia has nearly doubled its market price in the last year, primarily due to an acceleration in its growth resulting from its expansion in data center market, which has traditionally been Intel’s (NASDAQ:INTC) stronghold. The idea of disruption of a huge market has encouraged investors, which has led the stock price higher. Nvidia is uniquely positioned to take the advantage of the shift of computing to high performance and machine learning applications. However, we are still relatively cautious considering the extent of the stock price increase. We believe that our price estimate of $152 is still based on fairly optimistic assumptions, and the continuation of the recent momentum. We have created an interactive model that shows the assumptions behind our price estimate, as well as one of the scenarios that can justify the market price of nearly $200. You can modify assumptions to come up with your own price estimate for Nvidia. Our price estimate for Nvidia stands at $152, which is 25% below the market price. We expect the demand from automotive platforms – such as driver assistance systems, as well as the growth in Android gaming – to drive nearly 120% growth in Tegra Processor revenue in the next five years. 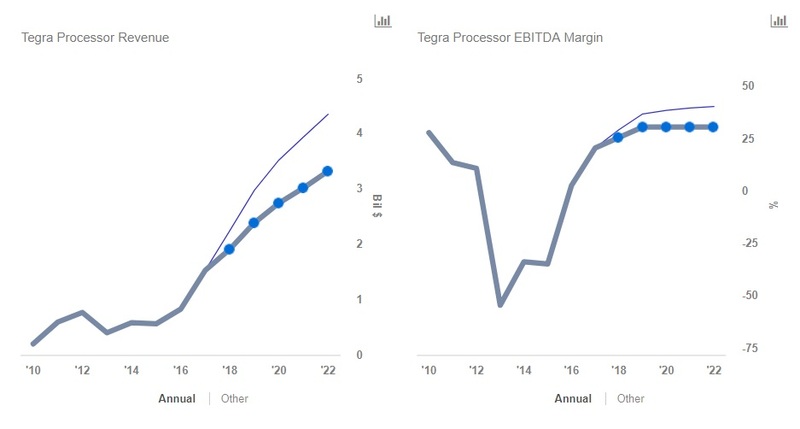 This will be accompanied by the Tegra EBITDA margin increasing from 20% to 30%. In addition, we expect Nvidia’s GPU revenue to jump nearly 50% in the next 5 years, growing from nearly $8 billion (expected) in 2017 to $12 billion. We also expect the division’s EBITDA margin to stabilize around 45%. 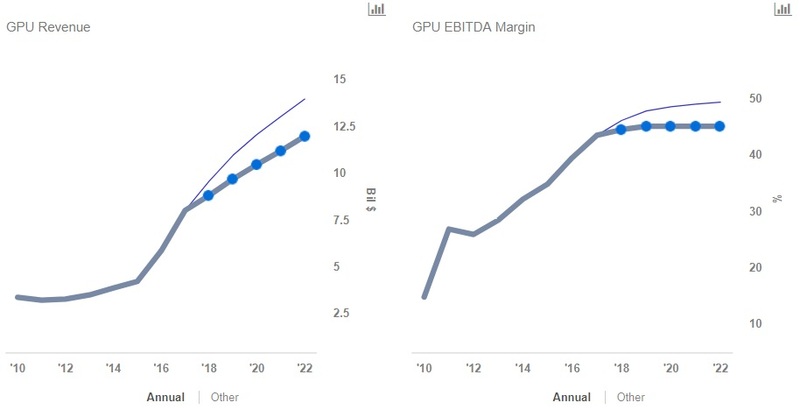 This growth will be driven by the expansion of GPU-accelerated data centers in both high performance computing (HPC) and the cloud, and the continued demand from PC gaming. However, the market may be expecting an even stronger uptick in these metrics. 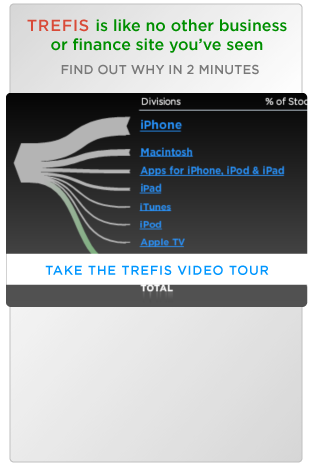 Our interactive model shows one of the many possible scenarios that can potentially justify the current market price.